Orange County Dog Bite Lawyer | How Common Are They? How common are dog bites in Orange County? Residents of Orange County love their furry best friends. More than simply a pet, these loving friends and companions are more like a member of the family. For most dog owners in Orange County, their furry four-legged friends are loyal, loving, and obedient. Unfortunately, dogs sometimes break from their loving ways and bite. Whether the dog is familiar, a stray, old, or a family pet, a bite should not be taken lightly. Talk to an Orange County dog bite lawyer if you’ve been bitten by a dog. Most commonly bitten: Children between the ages of 5 and 9 are the most frequent dog bite victims. Children are also more likely than adults to be injured by a dog bite. This is most likely due to the fact that children don’t know how to fend off an attack. Amount of bites. 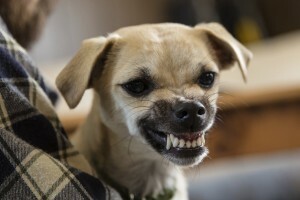 In the United States, there are an estimated 4.7 million dog bites every year. Over 800,000 of these bites resulted in the victim requiring medical treatment. Seventy-one percent of dog bites occur to the limbs (arms, legs, hands, and feet). Fatalities. Approximately 92 percent of fatal dog attacks involve male dogs. Of the 92 percent, 94 percent were not neutered. Chained dogs are involved in 25 percent of fatal dog attacks. If you or a loved one has suffered a dog bite injury in Orange County, it is important to seek legal guidance. You may be entitled to compensation. Contact an Orange County dog bite lawyer at Russell & Lazarus for a free case evaluation. Call us today, toll-free at (800) 268-9228, to discuss your legal options.